I’m joining in once again with the iHomeschool Network’s “10 in 10” Blog Hop topic for Top Ten Tuesday @ Many Little Blessings. This week’s Last week’s topic is “10 pieces of advice you would give to a new homeschooler.” (I started this one last week and ended up with a different post instead!). People come into homeschooling at a variety of points in their kids’ educational journey, but I feel most “qualified” to offer advice to those who find themselves in the same boat I was in — families who decide to homeschool while their oldest child is a preschooler (or even younger). 1. Relax and enjoy. This sounds like something that should be the culmination of a list like this, but I wanted to start with it because it’s so important. Keep the preschool/kindergarten years fun! You aren’t going to “mess up” your child if you don’t use the perfect preschool program. You will have plenty of time for serious academic pursuits as they get older, so don’t get too stressed out about it now! 2. Don’t compare. One child may be ready to read at four, while another isn’t ready to read until age six or later. Your neighbor’s kid or some blogger’s kid may be adding and subtracting at age three while your kid can’t even count to ten. Maybe you’re the one doing the happy dance that your kindergartener just figured out multiplication, yet you are puzzled as to why his handwriting is barely legible. It’s okay. Every child develops differently, even within the same family. Kids may be ready to excel in one area while developing typically in another. Follow your child’s cues. Give your child the “work” they are ready for. Are you trying to teach your child the letter sounds but he runs off to play with his cars instead? Don’t sweat it, he might not be interested right now. But if she is constantly asking you to “do math” or he is asking about learning to read, go for it. Don’t worry about the age you are “supposed” to do those things. 3. Don’t fall for “parlor tricks”. Maybe this isn’t so popular any more, but when Miss M was a toddler/preschooler I felt like every mom was trying to “show off” what their kid could do. One could recite the alphabet at 18 months. Another kid could count to 100 at age three. Some kids had gobs of poems and Bible verses memorized in Kindergarten. It’s not those little “tricks” at a young age that matter when it comes to being a good student and a lifelong learner as your kids get older! I don’t think knowing the alphabet at 18 months is any indicator as to whether or not a kid is going to be an early reader. It’s fine to teach kids those skills and have them memorize/learn to recite various things (especially if they love to do it)…but it’s not the end-all-be-all of preschool. Reading books and doing fun, hands on activities together is probably a better use of time. 4. Read and Research. Channel your passion for homeschooling into learning as much as you can right now, so you are knowledgeable to make decisions as your kids get older and you really do need to chose curricula for the 3 R’s and more. There are tons of great books, informational websites and blogs out there to help you learn in your homeschooling journey. While your kids are young is a great time to explore different styles and methods of homeschooling as well as the many curricula available. 5. Try out curricula/methods you find interesting. You don’t really need a curriculum in the preschool years. You even only need a few basic things for Kindergarten. But, it can also be a good time to try out some curriculum products to find out what you might like or dislike. If it wouldn’t have been for trying out the Bright Beginnings preschool curriculum when Miss M was four, I might not have realized until she was older than an all-in-one curriculum is not my style. I didn’t want to have to stay “on the same page” in all subjects. If I wouldn’t have tried Saxon Math K in the few months before Miss M was in Kindergarten, I might not have known that a spiral math program would drive me crazy. It’s much easier to switch things up and make changes during preschool/K than it is as your child gets older and you may have more concerns about sticking to a certain sequence in a curriculum. One nice thing about most homeschool products is you can find resale opportunities pretty easily, whether locally through swap meets and buy/sell email lists, or on the internet through homeschoolclassifieds.com or various message boards. 8. 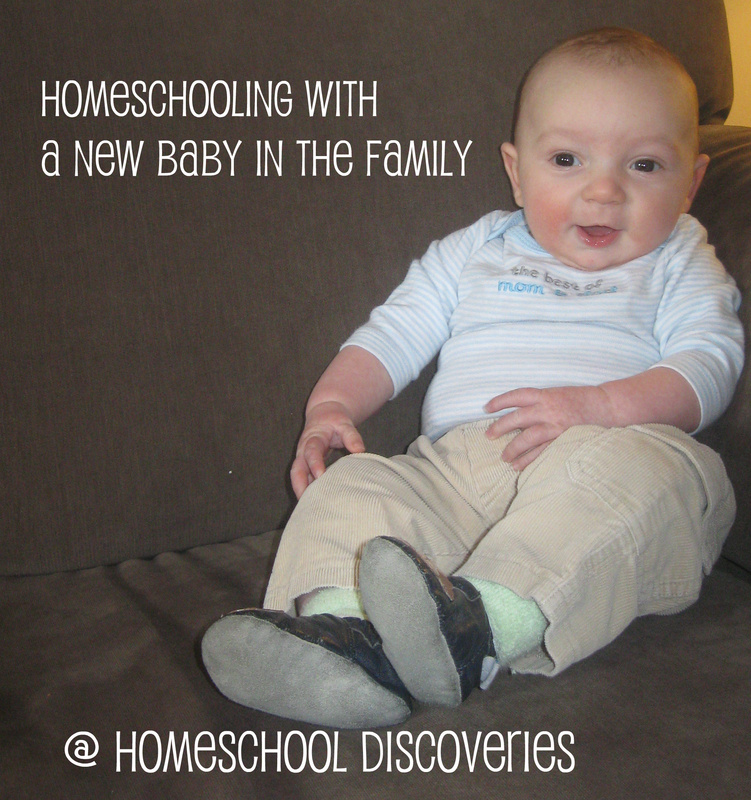 Build your network of homeschooling friends. Homeschooling is so much easier when you have friends to share the journey with you. If you don’t already have a network of homeschooling friends, now is the time to check out play groups, co-ops, support groups and more. If you aren’t finding something in your area that is open to younger kids, why not start your own informal group? It doesn’t have to be fancy — try making an announcement on local homeschooling email lists (if you don’t know of any, check yahoo groups as a place to begin your search), and you’ll probably find other parents of preschoolers who are planning to homeschool and want to make connections. 9. Read, read, read to your child! It can’t be said often enough — your child will learn so much as you read to him or her! 10. Have fun with all the topics and activities that are most enjoyed in the tot, preschool and kindergarten years! The library is brimming with fun books and the internet bursting with ideas to have fun with topics from Astronauts to Zebras and everything in between. Find out what your child is interested and have fun learning about those topics! What do you wish you could “go back and tell yourself” in the early years? Yesterday, I wrote about a few things I’ve learned about homeschooling with a new baby in in the family. Here’s an outline of what a “typical” day might look like for us with a 7.5 year old 2nd grader (Miss M), an almost-five-year-old doing some pre-k/k level work (Mr. E), a three-year-old (Mr. K) and a new baby (baby J, now 3 months)! 6:30am — I get up for the day and make a latte and some days make something for breakfast. (Some days I’ve made something the night before, other days we have a breakfast I don’t have to cook, like cereal or bagels). This is my goal time to wake up — other days realistically it is 7am…or 7:30 if everyone would let me. 🙂 Usually Mr. K and sometimes Mr. E is up with me. At maybe 6:45 or 7am until about 8:30am: I Eat breakfast, catch up on blogs and email while feeding baby J and also read my Bible (sometimes while feeding baby J, other times while eating breakfast). If I am lucky, I also find time for a shower or bath. Meanwhile, the kids eat breakfast and play (or Miss M reads). 8:30 to 9am: While the boys are playing and Miss M is getting dressed and reading her Bible, I make sure we’re ready for our school day and clean up from breakfast. Or if we’re running behind, I’m still eating or getting ready for the day. 9am: We start school. I encourage Miss M to be ready to go for the day by this time, having already read her Bible chapter. She and I meet in the school room and I go over the plan for the day. I show her the list of independent work I have for her, tell her what other work we have to do together, and discuss any other plans, chores or expectations for the day. In an ideal world we would also have “calendar time” with the boys too…but the reality is that this happens maybe once every couple weeks! Boys are running around pretending to be clone troopers shooting battle droids. I encourage them to play with the Lego clone troopers instead since it is more quiet, and I help them get the Legos out. Next, I go over the school work for the day with Miss M. Since baby J is neither eating nor sleeping and the other two boys are playing , she starts on her independent work. Today’s list includes cursive copywork, one row of a telling-time worksheet, a short page of subtraction facts, practicing her US States memory work, reading a chapter of a “classic starts” version of Little Women, and a page of spelling words to copy in her spelling workbook. A short while later, baby J seems like he is getting tired, so I lay him down for his morning nap. I let Miss M know we’re going to do Math soon. As soon as J falls asleep, we start math. The boys wander away from the Legos, and I direct them toward some coloring books and dot-to-dot books. Back to Math. We finish the lesson, while the boys are now cutting up pieces of scrap paper into tiny pieces all over the school room floor to amuse themselves. This is fine motor practice, right? They grudgingly clean in it up when they are done, and color a bit more. After a quick oral quiz on spelling words, it’s break time. I help everyone get a snack and set a timer for 15 minutes so I don’t lose track of time to get Miss M back to her school work. Baby J is still asleep at the end of break time, so Miss M goes off to continue her independent work. I ask Mr E if he would rather do a page in his phonics book (Phonics Pathways) or work on reading a book. He picks reading a book, so I get one off the shelf (a “Now I’m Reading” book by Nora Gaydos) and he reads it with my help, while Mr K listens in. I try and spend 10-15 minutes on some kind of focused learning activity with Mr E every day — but if he isn’t interested, I don’t push it. Mr K is just turning 3 this month, and I rarely do anything formal with him. He is picking up letters and number sort of by osmosis, I guess and he loves to color, cut paper and “write A’s” (he loves the letter and does not care to learn to write any other letter right now I guess!). I’ll probably start trying to spend 5 or 10 minutes a day with Mr. K on something a little more “formal” starting next fall, if he is more inclined by that time. Mr E will be “officially” a Kindergartener in the fall, and I would imagine that his school time will increase to 20 or 30 minutes a day at that point. Baby J wakes up and I call Miss M over to read a lesson from Mystery of History while I nurse the baby. The boys don’t want to listen today, and they wander away to play in their bedroom. After the History reading is over, Miss M goes to check off one remaining item on her to-do list, and then she is free to do as she pleases. I call to the boys and see if they want to pick books to read while I finish nursing the baby, and they do. The get books from the library basket and join me on the couch. After J is done eating, it is time for me to make lunch. The kids remind me they haven’t done anything on the iPad yet today (sometimes they use it during the school block for something educational…other times I use it to distract the boys if I am having trouble keeping them quiet while I work with Miss M!). So they talk me into letting them each have a short turn to play a game for fun while I get lunch on the table. Noon, or sometimes sooner: I make lunch, and we eat! After lunch to 1:30ish: Unless we have somewhere to be (like our homeschool co-op days, where we actually eat around 11am and leave the house by 11:45), the kids have time to play freely. They might head outside to our fenced in back yard if the weather is nice. Miss M often chooses to read for fun. I feed the baby again if needed, and relax for a bit. Afternoon “block” 1:30 to 4:30 or 5pm: The block of time varies considerably from day to day and week to week. Twice a month we have co-op. We go to the library once a week (and sometimes this is combined with another errand as long as we are leaving the house). Some weeks we also need one afternoon for a trip to Target or Aldi. If we’re at home, the kids may play games, work on art projects, or just play inside or outside. Some days I convince them to help me with chores. Miss M often spends time reading. I will try and read aloud to the boys while I am feeding J if they are willing. While not tending to the needs and requests of the kids (or dealing with discipline issues), I am often trying to get a few chores done myself, work on some sort of project or do some cooking. Or I am reading blogs or Facebook if I am too exhausted to be productive! 🙂 Toward the end of this block of time we have a snack and maybe do some clean up if I have the energy to follow through with making them do it! To be honest, clean up time is not usually very pleasant, and some days I just feel too tired to make sure they actually do it and not just complain about how they hate to clean up. It’s a character issue we’re working on around here! Sometime around 5pm, or maybe 5:30pm I start cooking dinner. For a while we were very successful in just having the kids play while I try to cook dinner…this has been more chaotic lately and stressful, so I am back to having them most days either watch half an hour to an hour of shows (DVD or Netflix), or letting them play a game on the computer or iPad. Sometime between 6 and 6:30pm we sit down for dinner, then enjoy some time as a family before our bedtime routine! That’s a general overview of what our days look like…but of course with 4 kids you can expect the unexpected!